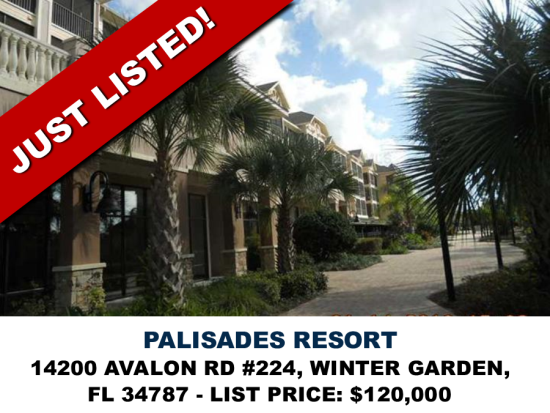 The Palisades Resort is the first resort of the Lake Austin Grande Resorts collection featuring a perfect blend of city sophistication and Florida's most coveted natural beauty. The resort is perfectly located on the quieter luxury west side of Disney. A great selection of restaurants and fabulous shopping spots are nearby. The unit features large and fully equipped kitchen, spacious living room, dining room, two full baths with the master bedroom featuring an oversized tub. In addition each suite is elegantly appointed with large flat screen TV's washer and dryer and a large private balcony over looking the pool and conservation. The community has meeting rooms, a gym, out door pool and hot tub.